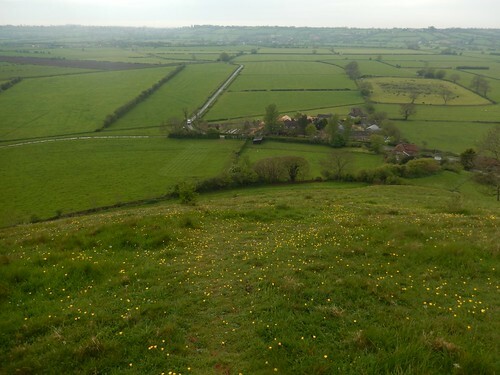 Before I go on to write about a visit to Salisbury city, following the morning at Stonehenge; I’d like to share with you a new challenge that Anna and I have begun, as we look to bag every accessible trig in the county of Somerset. 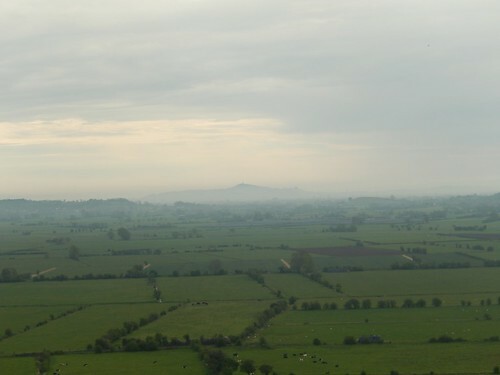 Our first walk – a mere fifteen-miles long – took us from Nyland near Cheddar, all the way to the heights of Glastonbury Tor. 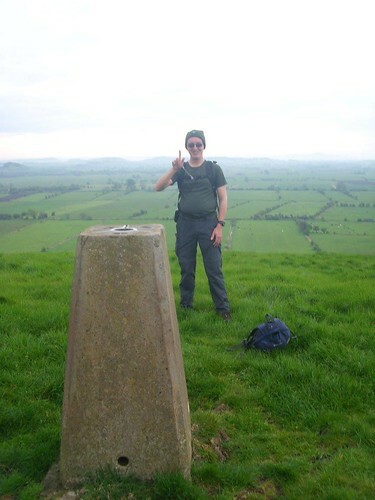 If you’re also interested in ‘trig-bagging’, you could also look at the TrigpointingUK website. They even have a smart phone app. 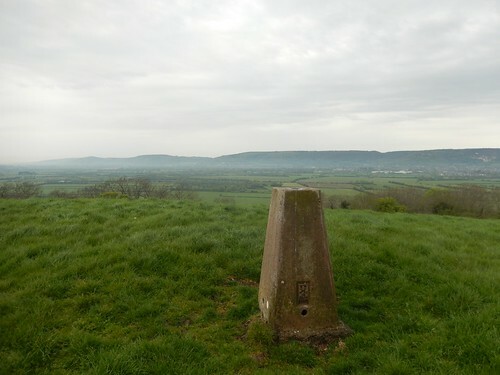 For the record; we’re not initially going to include trig pillars in North Somerset, which is still (frustratingly) regarded as Avon in too many sources… For now, I think we have over three-hundred trigs to find in the main county of Somerset!! 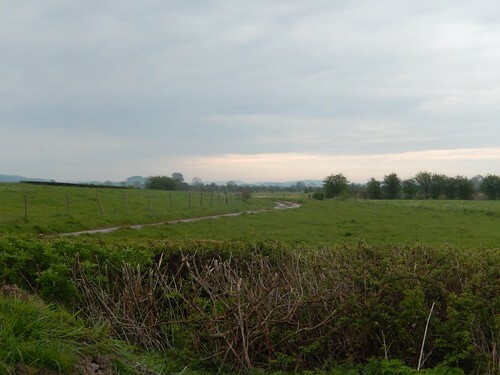 Having left our other car in Glastonbury at the end of this linear walk; I parked on a road bend close to Tor Farm, where a patch of gravel beneath piles of dirt made for a makeshift layby, with perhaps room for another car or two. Despite the high forecast, our day began with light rain and mist all around, which made for a slightly eerie mood across the landscape, beneath and overcast sky. 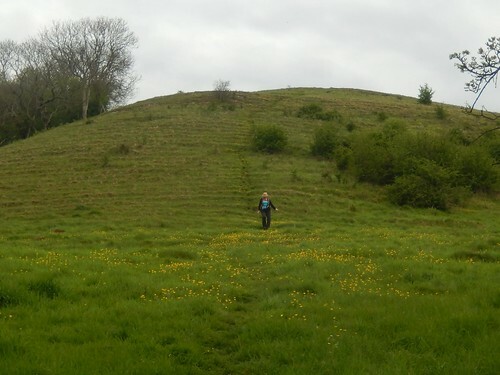 Without wasting any time, we left the car and almost immediately began to climb Nyland Hill from its south side. 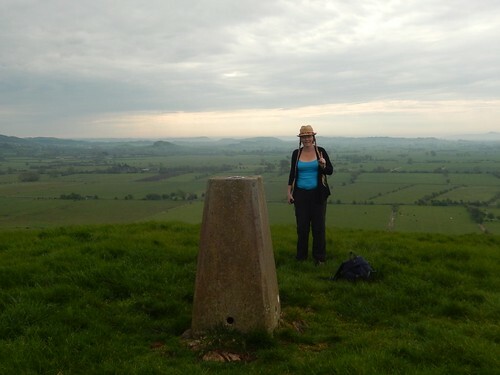 We each had our photo take beside the trig, which is one requirement we’ve made for this new challenge. 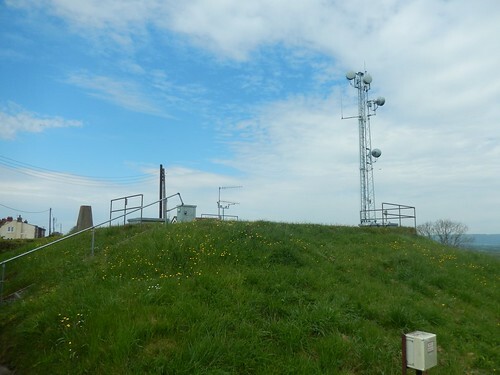 Despite being only 76m above sea level; the climb up to the trig from this side is calf-burstingly tough. I’d only been up here once before but that was approaching from the north, only a slightly less-intensive route. No trespassing is required to reach this pillar because the ‘shaven’ half of the hill is open access land (although, horse-riders are required to follow the path). Nyland Hill is significant for the two of us because it played a part in how we met. If I hadn’t come here on a walk in 2013 and written about it; Anna wouldn’t have been able to find my blog and we might not have grown the friendship and shared walking that we have. 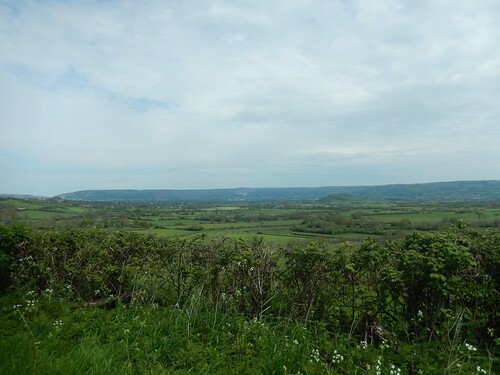 After claiming the trig point, we returned to the southern foot of the hill, passing my car once more to follow Nyland Drove in the direction of Wedmore. 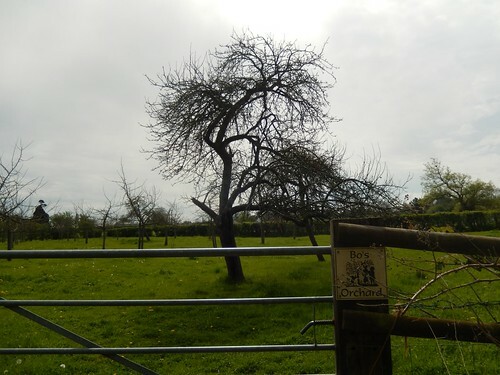 We then took a path on to Wedmore Moor [I think they should rename it to ‘Moor of Wed’…], soon to walk alongside the River Axe. 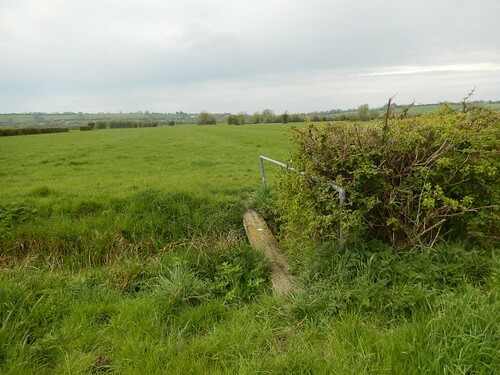 We attempted to continue our walk through the field above, only to encounter a hedge with no rhyne crossing at the other end. 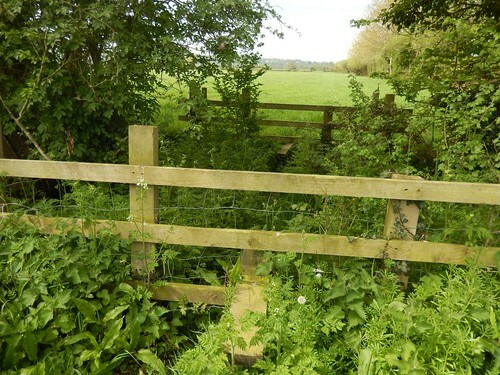 Following the river for a few extra metres and closer to a footbridge on our left, we discovered a pair of stiles, disguised as fencing but buried behind a bush of leaves and nettles. 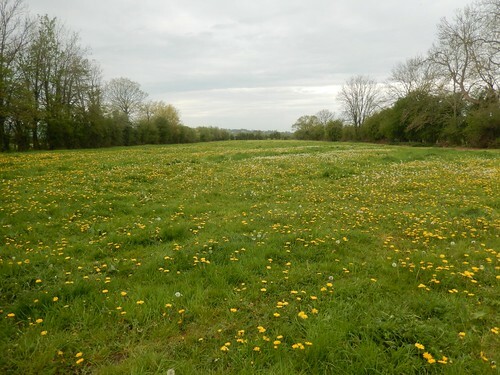 This would send us on the right path, along two narrow rhyne crossings and soon to pick up a farm track beside Brickyard Farm. 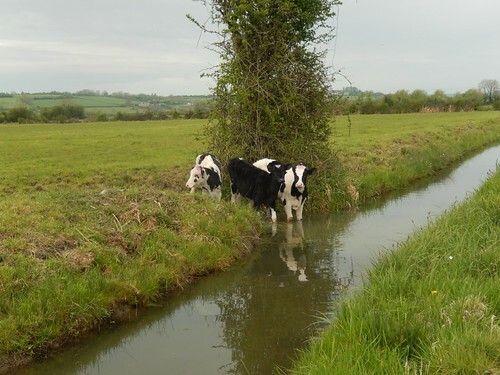 By this time, the sun was beginning to break through on our final approach in to Wedmore, where we would soon stop for a snack and short rest beside a stream. 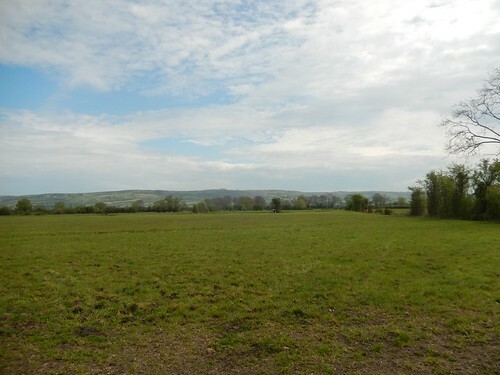 Choosing to avoid a field filled with cows, we walked on to the B3151 road, before gradually turning uphill. 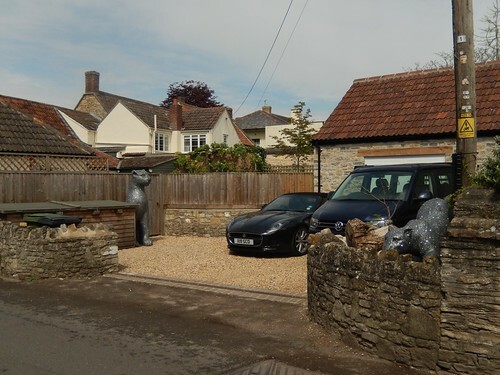 In at least one garden, we spotted these silver cat statues… Apparently, you can also find this beside another home. It’s what they might call ‘art’, down in Wedmore. 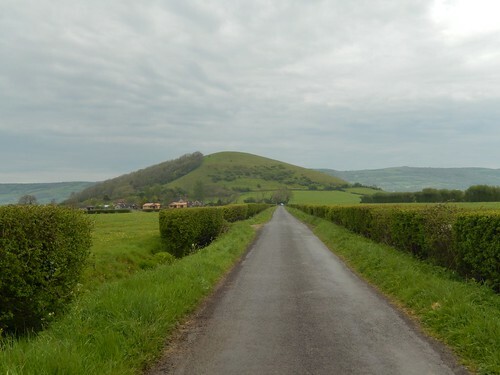 Following Mill Lane above Stoneybridge Farm, we could see Nyland Hill, suddenly, so far behind us. 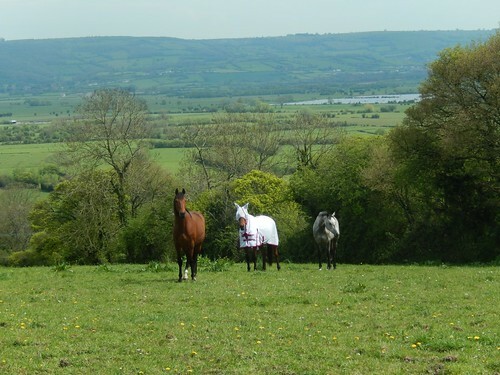 In the other direction, we’d soon catch a glimpse of Glastonbury Tor, which would still appear to be as far away as the point from which we started this walk. Approaching lunchtime, we would come to our second trig pillar of the day. Without causing any damage, we hopped over the gate, took a quick photo from the hill top and returned to the road without leaving a trace. Interestingly, there was an item fitted in to the common hole on top of the pillar. So often, these things are empty. 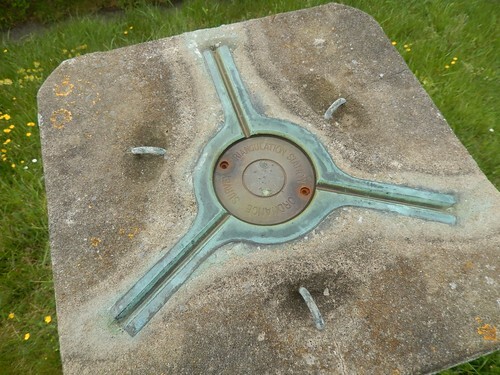 Also, the person managing Ordnance Survey’s Twitter feed didn’t seem to know what the three hooks were for. 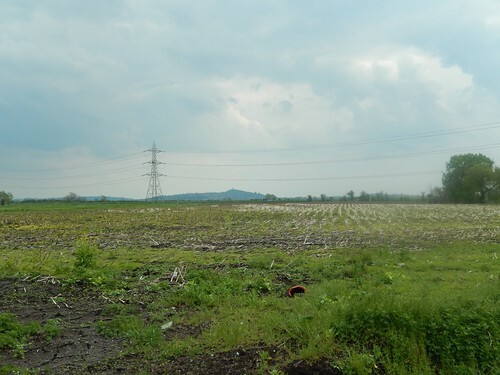 This brings us quite neatly to lunchtime, with two trigs already in the bag. Aside from climbing the tor itself, we’d overcome our other main ascent of the day, as we prepared to eat lunch beneath the shade of a willow tree, with actual seats supporting our weight. We even received ice lollies before we resumed walking – as I remember, the highs were about 24º on this day! 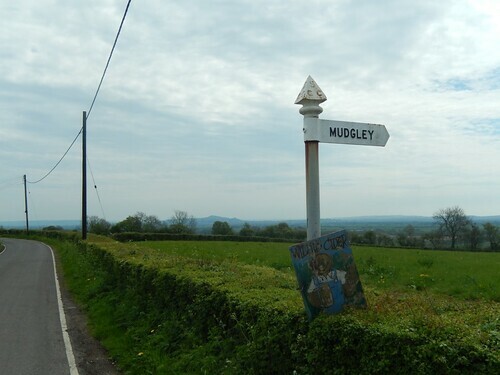 In Part 2, we’ll continue our ‘pilgrimage’ to Glastonbury.